Kershaw's and Rick Hinderer have teamed up to bring you a smaller pocketknife with plenty of style, the Kershaw Ember. The first thing you'll notice, of course, is the Ember's size. The blade is just two inches long and, when closed, the knife is a compact 2.8 inches. But the next thing you'll notice is the Ember's striking looks. Kershaw&apos;s and Rick Hinderer have teamed up to bring you a smaller pocketknife with plenty of style, the Kershaw Ember. The first thing you&apos;ll notice, of course, is the Ember&apos;s size. The blade is just two inches long and, when closed, the knife is a compact 2.8 inches. But the next thing you&apos;ll notice is the Ember&apos;s striking looks. Angles, contours, matte-grey coating, and black hardware give it a tactical look-and-feel that we think knife users will really warm up to.For easy opening, the Ember features SpeedSafe assisted opening and a handy, built-in flipper. The modified clip-point blade has an ergonomic top curve, which gives the user a convenient place to position an index finger when guiding the knife&apos;s edge in a close-cutting situation. A sturdy frame lock secures the blade in position for safe use. 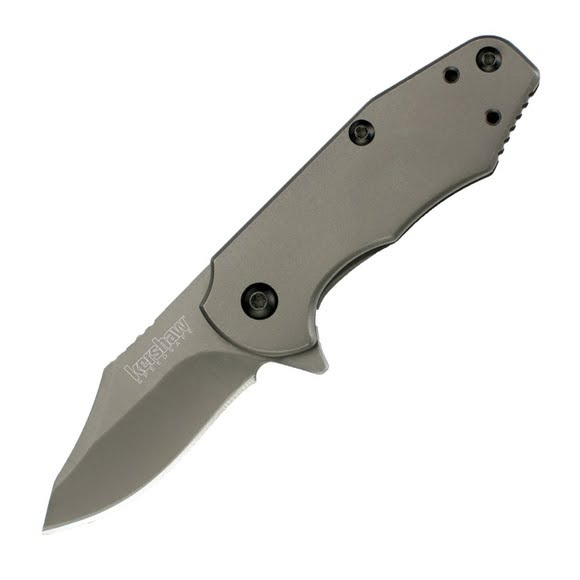 The blade is heat treated to Kershaw&apos;s demanding specifications to bring out the very best qualities in the steel. Titanium carbo-nitride coating on both blade and handle give the Ember a matte grey finish. Black hardware, including the three-position pocketclip, enhances this little knife&apos;s look. Easy to carry in pocket, briefcase, or backpack, the new Ember from Kershaw and Rick Hinderer packs a lot of style into a small package.